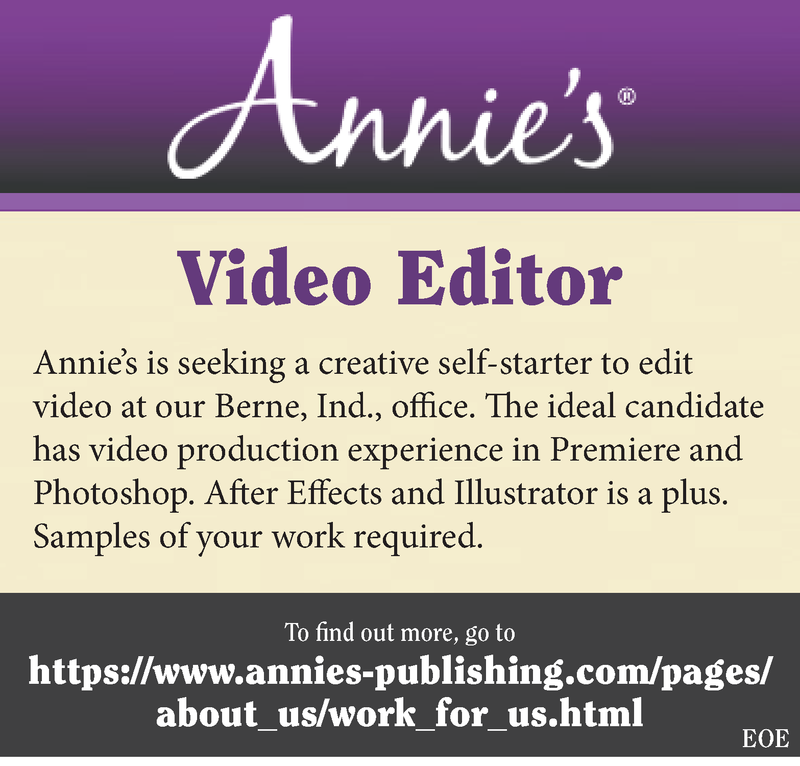 Annie's is seeking a creative self-starter to edit video at our Berne, Ind., office. The ideal candidate has video production experience in Premiere and Photoshop. After Effects and Illustrator is a plus. Samples of your work required. To find out more, click the Apply button and visit our website today!